Sorry, this job expired on Sep 15, 2018. Below are other jobs that may be of interest to you. Chef Tim Hollingsworth will be opening Free Play, a restaurant and full bar, at The Fields LA later this Fall. The playful space will include a variety of unique games, DJ booth and live entertainment. The menu will feature contemporary cuisine and elevated takes on bar snacks, along with a full craft beer and cocktail program. Candidates must have a reliable track record and proven kitchen experience, and should be skilled and dedicated cooks. Line cooks will be responsible for executing dishes and ensuring that Free Play's high standards are met. Cast Iron Partners, LLC, is a Los Angeles-based restaurant investment and management firm launched by Carl Schuster, co-founder and CEO of Wolfgang Puck Catering and 30-year restaurant industry executive. Cast Iron Partners, LLC, is focused on empowering rising-star and established chefs and developing original restaurant concepts around them. Cast Iron Partners additionally serves as a restaurant partner and advisor for leading hoteliers, real estate developers, architectural firms, stadium and convention owners and other institutions seeking original chef-driven restaurants as well as innovative fast casual and food service concepts. 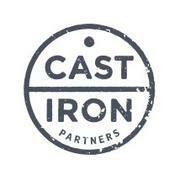 Cast Iron Partners seek investment partners on a project by project basis as well as corporate investment.